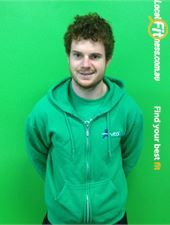 Sam is a Camberwell personal trainer. With a strong interest in the fitness industry, he has a passion for strength and conditioning in particular, being a third year Exercise and Sport Science student at Deakin University, with the aim of completing a Masters degree in that area upon completion of his current studies. Sam is a keen sportsman and fitness fanatic himself, having played football since a young age, in addition to endurance running over recent years, having completed several half-marathon events. He is also keen to complete the full Melbourne Marathon in October 2014. I believe that a basic level of functional fitness can allow us to get the best out of ourselves, not just on a sporting field or in the gym, but in everyday life as well. I know from experience that life is far more fulfilling as a healthy person than the alternative. In terms of training styles, I’m a strong believer that every person that comes into a gym or personal training studio has different goals, different capabilities and difference exercise preferences. Therefore, it is vital that these differences be addressed to come up with the most individualised program for each person. That way, enjoyment levels will remain high and motivation will follow! 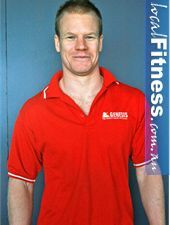 Kelly is a Camberwell personal trainer. Kelly is in the final year of her secondary health and physical education bachelor degree at Deakin University and is loving every minute of her studies and placement experiences. She is a practicing first dan karate athlete at KSK Dojos, training towards the 2015 Nationals. She has a love for travel, sports, learning, teaching, music, food, people and of course everything health, fitness and helping others improve their lives to be happier, healthier individuals. Kelly's training style can be best described as tough with a focus on enjoyment and variety. Influenced partly by her martial arts background and teaching experience as well as her keen interest in sports science, Kelly tries to incorporate a mix of fun exercises such as resistance, interval, boxing, plyometrics and a little bit of education for those who are interested! Bachelor of Health and Physical Education (Secondary) - completing end of 2015. 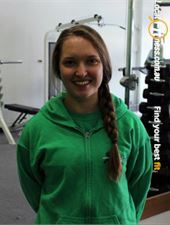 Lisa is a Camberwell personal trainer. Lisa comes from a European background where they eat, sleep, and breath soccer. As a result she loves most sports enjoying playing and watching them. Lisa has played soccer since she was 8 and still does now. She is a huge fan of the German national soccer team and Hertha Berlin in the German Bundesliga. Loving sports has kept her fit and health and she loves to workout 6 days a week. She is a pretty laid back person and she loves getting together with friends and family and have a laugh. Life is short so she is someone that will give almost anything a go (especially if it gives people a laugh) as you only live once. My training style is that I believe in the tough love approach, I will spur my clients on in a fierce but compassionate way. My functional based training workouts are comprised of vigorous free weight based strength & cardio intervals designed to push you outside your comfort zone for maximum results. I’m not someone that fights to stay in a comfort zone when training because as long as you fight for it then you get to keep it and the results won’t follow. It will be hard, it will hurt and it will challenge every part of you but it has to be in order for you to see and feel yourself getting fitter and stronger. You’re looking to lose weight and build lean muscle. Want to build strength and bulk muscle. If you want to work hard and smash your goals. 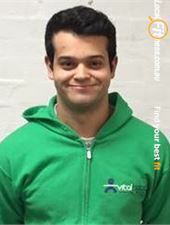 Matthew is a Camberwell personal trainer. Matt is a qualified Personal Trainer and is also currently completing his Bachelor of Sport Science at Deakin University. He has always been involved in sport but discovered his passion for Personal Training when he lost twenty kilos himself. This has given him the desire to help others to achieve their goals. Matt’s philosophy is to ensure lifestyle changes for his clients so that in the long term his clients can experience improvements in their life. Furthermore, he is determined to make training sessions fun by helping clients to find a form of exercise they enjoy. My training style is to incorporate full body workouts which tend to be more functional and also focus on core strength. This allows us to transfer the strength and fitness gains into real life situations. I also put a large focus into mobility and flexibility, important in reducing injury risk and ageing well. If want to lose weight. Want to challenge yourself and meet your goals. Wish to achieve lifestyle changes. 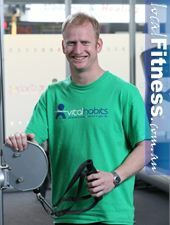 Simon is a Camberwell personal trainer. 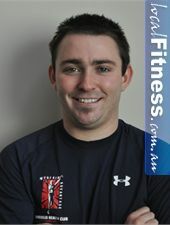 He loves working with all varieties of people at at all levels of fitness and ability from beginner to athlete. Fitness has always been a big part of his life. Simon’s passion is running which he has been involved in from age 6 from a competitive level, he now spends his time training towards half marathons and marathons and helping his clients compete in running events. He also enjoys sports such as tennis, golf, and squash. 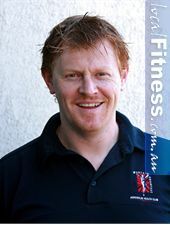 Simon has been involved in health and fitness for the past 15 years, in various different roles. Simon enjoys training all levels of clients and gets as much enjoyment from training a person new to exercise as he does from training an athlete. He loves the challenge of finding out what each individual clients requires from their training and putting this into practice each session. 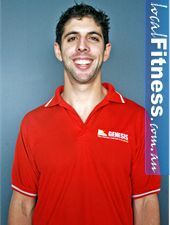 Simon is experienced in running training, boxing, spinning, pilates, and strength and conditioning. I like to get to the bottom of what each clients goals are and what they like and dislike about training and then build our sessions from there. The goal is to make sessions challenging and also enjoyable at the same time, to make sure the client gets the most out of it. I am a good listener and I keep asking questions to make sure we are heading in the right direction and we are listening to your body and as a result improving your results and eliminating injury. Carl is a Hawthorn personal trainer. After completing a Human Movement Degree, Carl studied post graduate Biomechanics, specialising in feet and back injuries. He then moved into the strength and conditioning field, looking after football teams, squash, skiing and triathlon clubs, long term programs for performance and injury management. Carl has spent 18 years lecturing in fitness, weight-training and exercise science, and now enjoys working part-time particularly training with people who haven't received the attention they required from busy commercial gyms. In today's society we all have busy lifestyles, so it is imperative we help people get the most out of their exercise program with a minimum of time. The basic principles of strong high-intensity weight-training for muscle, pilates, core stability and flexibility to prevent injury and cardio/endurance training for fitness and weight management still apply today. There is no need for fluffy time-wasting exercise. Ash is a Hawthorn personal trainer. 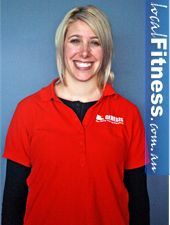 Ash is a leading Victorian Personal Trainer with over 8 years experience. Amy is a Hawthorn personal trainer. Amy is a Hawthorn personal trainer. She has completed her Diploma Of fitness (including cert 3 & 4) in 2010. Amy has always been involved in the sports and fitness industry with her dad working as a trainer for various AFL clubs and herself playing high levels of netball. Amy’s training sessions very in styles but she particularly enjoys conducting high intensity cardio workouts leaving her clients exhilarated by the heights they have achieved. With her knowledge of posture and corrective exercise Amy is an avid supporter of the benefits of training her clients to move correctly and enjoys seeing progress through the multiple group corrective exercise sessions she runs. Amy enjoys high intensity cardio sessions designed to burn calories and cater to all fitness levels. Amy sticks to the principles of weight training to ensure progression and results as fast as possible, whilst strengthening and activating core muscles to ensure plenty of support for the spine in the long and short term. Tim is a Hawthorn personal trainer. While studying a dual diploma in Sport and Recreation/Sports Development, Tim successfully completed a Diploma of Fitness (including both certificate 3 and 4). Combining a history of involvement in successful sports teams, with recently obtained knowledge in posture & corrective exercise, nutrition and biomechanics, Tim can cater for ALL types of clients, even those that are serious about their chosen sport. Whatever his client’s goals may be, Tim thrives on getting the most out of his clients. In only a short space of time, Tim has vastly increased his client base, with many of his client’s referring him to their friends and work colleagues. Tim conducts high intensity yet fun and enjoyable cardio sessions, involving a range of boxing techniques and various sports drills that burn as many calories as possible. With a broad range of knowledge in rehabilitation and corrective posture, Tim uses weight training exercises that help improve strength while correcting posture. 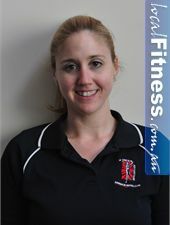 Janine is a Caulfield personal trainer. Janine has developed a wealth of experience with over 20 years in sports and fitness. As a child, being active was an integral part of her lifestyle. She started in little athletics and represented her school in various running competitions. She has also participated in Jazz/Ballet and swimming. Outside of school she played competitive netball for over 10 years at A-grade level. By the age of 19 she entered the gym realm and was driven to experience a range of sporting activities. In her early 20s she trained to compete in figure modelling and also trained for 2 years to compete in kick-boxing. Her extensive fitness conditioning got her accepted into the Army Reserves but a tragic motorcycle accident caused her to change many of her plans. Janine spent some time rehabilitating learning vital knowledge along the way. It was soon after this experience that she decided to turn her interest in fitness into a career to help others achieve a fitness lifestyle that she has enjoyed all her life. Janine offers her clients a wealth of experience, ranging from her vast sporting history to injury rehabilitation. She focuses on helping clients change behaviors through weight management and healthy nutritional alternatives. Janine is known as the 'Velvet Hammer' as she has helped 100s of clients with her gentle motivational approach. She has enjoyed being fit and active all her life and is looking forward to sharing this with her clients. You are looking for a professional and experienced trainer with over 20 years of experience. You want a trainer who will modify your training and identify any issues before they arise. You are looking to get a KICKSTART back in to fitness. 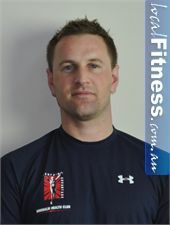 Will is a Caulfield personal trainer. Since the early age of 5 years old, Will has enjoyed a variety of sports, including football, cricket, racquet sport and golf. As a teenager he became interested in combat sports, taking up boxing and various martial arts disciplines. It was the fitness requirements in these sports that have influenced his training style. Will started his weight training as a teenager which helped him to take a look at his nutritional and dietary intakes. He now has an appreciation of the importance of healthy nutrition and has developed a high level of competency in this field. In 2007 he discovered CrossFIT training, which introduced him to higher-level training techniques and an even greater intensity of training. Will loves to incorporate his wide variety of training methods into his sessions to keep your workouts fresh and fun! My clients would be initially assessed for correct biomechanics and if need be will be broken down and built back up to have their body perform optimally. My training sessions may incorporate advanced strength training techniques such as power lifts, olympic lifts, kettle bell training as well as boxing and kick boxing drills. All this while working you to an intensity that you would never work to on your own - which is why you achieve greater results. You want to bring out your inner athlete. You are prepared to let go of your pre-conceived ideas about fitness and nutrition. You want to train how elite fighters would train. Jonathan is a Caulfield personal trainer. Jonathan got into fitness training at the age of 15 to complete his basketball training. Shortly after, he began looking into pursing fitness as a career. He started off training clients in parks around Melbourne then he moved to training clients in and out of gyms where he adopted a fast-paced intense style of training. Jonathan's passion for fitness has led him to continue to build on his knowledge. He is currently completing a strength and conditioning coach certification and a pilates certification. He brings a well-rounded knowledge base to his clients to get the best out of every session. I focus more on non-traditional exercises such as kettle bell training and specialised strength training. I also like to train my clients in a high intensity circuit to fully maximise the effort of all energy systems creating a toned and athletic look. You want to lose weight fast. You want to improve in a specific sport through strength training. You want to join a fast paced and interactive group session. 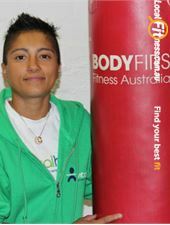 Sofi is a Prahran personal trainer. Sofi’s interest in health and fitness came about from her background as an adult and kinder gym instructor. Her occupation as an instructor has been incredibly rewarding on both a personal and professional level, educating both adults and young children on how to get fit and adopt a healthy lifestyle. Sofi has a great passion for health and fitness and her enthusiasm is a great inspiration to all that meet her. She believes in living each day to the fullest, having quality in life and inspiring each and every person that she meets that they too can achieve their goals by acting on their positive thoughts. Sofi has always been interested in healthy eating and exercise as has her immediate family. Husband, Pierre and son Liam are both cycling enthusiasts. Sofi has also designed an eating plan for her family that involves only unprocessed natural food, ensuring her family remains healthy, full of energy and able to pursue their busy work and sporting commitments. Sofi and her family have a simple philosophy - many illnesses can be prevented through eating wholesome natural unprocessed foods coupled with exercise. When Liam was born, Sofi took the opportunity to be a stay at home mother for a period of 3 years. Always searching for new challenges, Sofi was inspired to pursue the sport of body sculpting having seen the documentary “The Godfather of Bodies” featuring George Tabban. Sofi commenced training with George and son Michael and within her first year of training, had achieved first place in her Novice category. As testament to her grit and determination, Sofi has been training since 2003, competed since 2003 and has achieved many accolades placing in the top 3 over her competing career. You can see her training clients at her home at MBS Prahan. Muscle and Body Shape Gym prides itself on being one of the best in the fitness industry. Our SHAPE program caters for beginners wanting to improve their shape through to world class bodybuilding competitors. For those who are largely overweight, there is no need to be embarrassed; our understanding staff has extensive experience and can assist you develop a new and refreshing approach to health. MBS will introduce you to a new way of life, a way that encourages you to understand food as fuel for your body and mind; learn about exercise that is realistic for your level of fitness; develop a short and long term plan to achieve the shape you want - and learn how to change your habits so that the benefits of your experience will be continued when you return home. The SHAPE program has a long and successful history in health education, wellness care and safe effective weight loss. Through a combination of sessions that involve nutrition and exercise, you can achieve optimal outcomes – so, give it a TRY! You want to see a trainer who practices what they preach, looks and plays the part and has achieved her fitness goals. You want to be results driven and you're looking to put in the hard work to achieve it. You are a mother and think you can't fit fitness and health into your life and want to see first hand how it is done. Haytham is a Richmond personal trainer. Haytham Bakri continued a family tradition when he chose to become a personal trainer. Haytham, the son of Rulla and grandson of George, might be young but he already displays the knack for making training challenging and motivating. He is enthusiastic and good-natured, and he pushes every client to work to the best of their ability. George is a Richmond personal trainer. 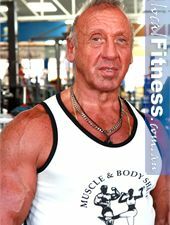 George “The Legend” Tabban has 47 years experience in bodybuilding, body shaping, training and fitness. He has had a distinguished competitive career having competed over 50 times and won many championships in bodybuilding. George has trained with the world’s best, developing skills and knowledge as a trainer through experience, experimentation and research. His dedication to the sport of bodybuilding has earned him the admiration of his peers and clients alike. George and his son Michael, continue to lead the way in changing body shapes and making life-changing improvements with their clients. Both father and son have dedicated the past 5 years in refining their training techniques, program structure and nutritional prescriptions to adapt to the ever-changing role of fitness, body shaping and wellbeing.